Last week was punctuated with the drop of the GBU-43/B Massive Ordnance Air Blast (MOAB) bomb that killed 95 Islamic State militants in eastern Afghanistan. When the bomb was tested back in 2013, it created a mushroom cloud that was visible 20 miles away. 1. 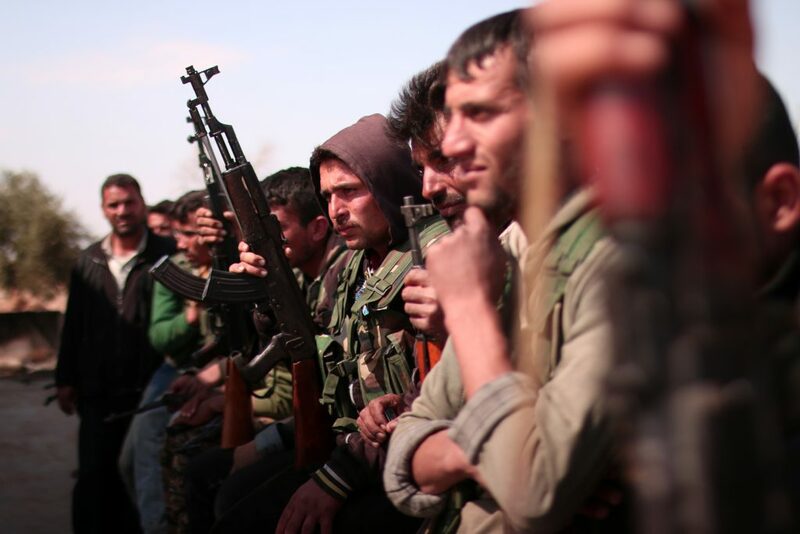 A “misdirected” strike killed 18 Syrian fighters allied with the U.S. The MOAB bomb garnered headlines partly for its sheer size — it’s the U.S. military’s largest non-nuclear weapon — and also because it was used against ISIS fighters in Afghanistan. But the same day, reports indicated that another strike intended for an ISIS target mistakenly led to the deaths of 18 Syrian fighters who were allied with the U.S.
“The coalition’s deepest condolences go out to the members of the S.D.F. and their families,” Central Command wrote. 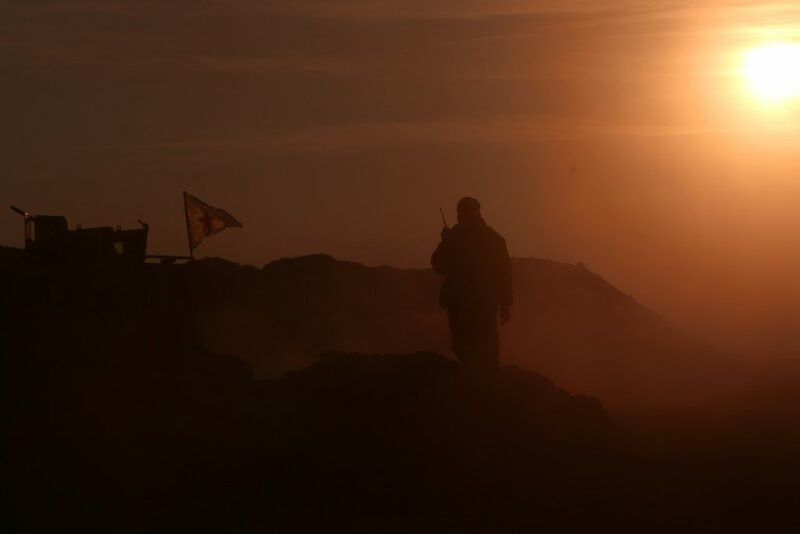 The New York Times pointed out that Thursday’s reported mistake is the third U.S.-led airstrike in a month’s time that may have resulted in civilian or ally deaths. Nearly a month ago, Syrian activists said a U.S. airstrike struck a mosque, killing dozens of civilians. 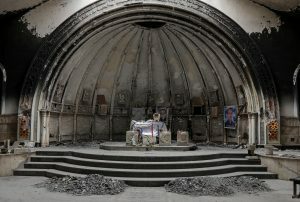 U.S. Central Command, however, has denied bombing the mosque, saying it instead struck a building nearby. Then, in late March, Lt. Gen. Stephen Townsend said there was a “fair chance” that a U.S. airstrike in Mosul killed civilians earlier in the month. Shortly after Trump was elected, Pentagon officials reportedly wondered whether the new president would mirror former President Barack Obama’s heavy-handed involvement with their decision-making. White House officials told the Times that Trump has taken a lighter touch in managing military operations. However, Thursday’s strike could raise questions about Trump’s preferred method of management. 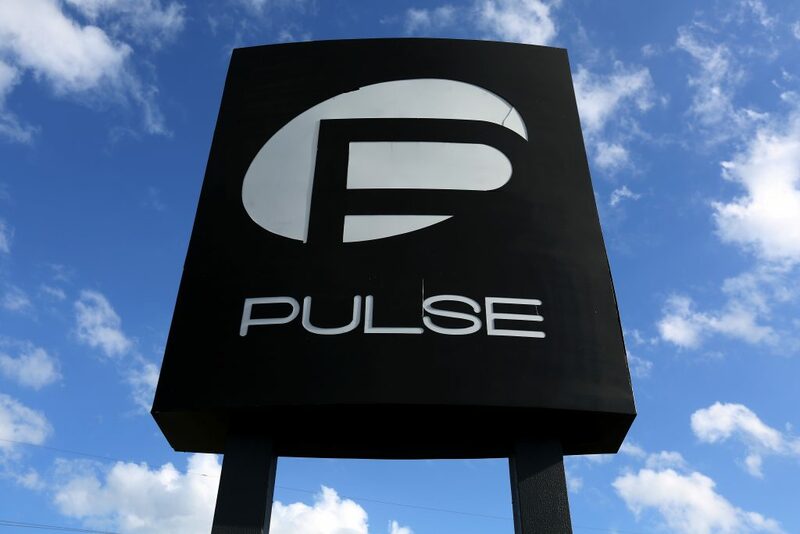 Orlando Police Chief John Mina has been sharing with different police groups around the world how his department responded to the June 12 shooting at the Pulse nightclub, an attack that left 49 people dead. His 78-page report, obtained by The Orlando Sentinel, offers one of the more comprehensive timelines, to date, of the attack, including body cam footage of authorities engaging with the shooter, Omar Mateen. Mateen was later killed after an hourslong standoff with police. In the police chief’s presentation, it’s revealed that about half of the victims died on the dance floor “without a chance to react or run for help,” the Sentinel reported. Another 13 people died in the club’s bathrooms, where injured patrons — as heard in these previously released 911 calls — waited for police to come help them. 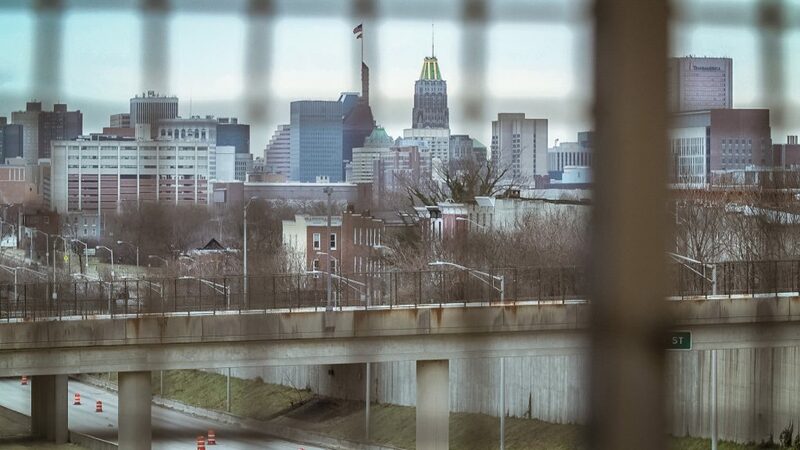 The Sentinel noted that the presentation, which was part self-evaluation, didn’t acknowledge whether police gunfire struck any civilians in the shooting, which also injured 68 people. The report also resurfaced questions over why authorities didn’t breach the club sooner in the three-hour standoff. As evidenced by released 911 calls, patrons still in the club repeatedly asked dispatchers why police haven’t come to their aid yet. Mateen started shooting shortly after 2 a.m. local time. 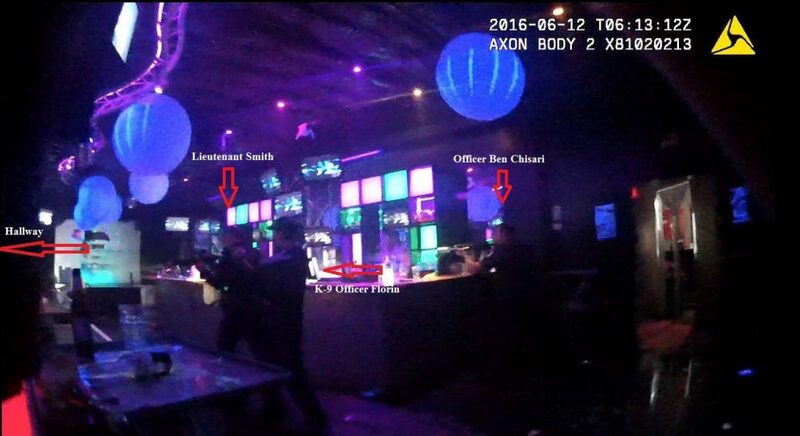 Police didn’t storm the club until around 5 a.m.
Orlando police has maintained that the department feared that Mateen would harm more people in the club. Mateen reportedly told police that he was armed with a bomb vest and had a vehicle in the parking lot rigged with explosives. Max Meehan started using heroin in college. Five years ago, the then-22-year-old shot up in his bathroom after a night of partying — something he had done many times in the years he’d experimented with drugs and alcohol. But when he woke up the next morning, he collapsed. He was confused, having the same thought about pain in his leg over and over again, punctuated by panicked sobs. Max’s family rushed him to a hospital in Massachusetts, where doctors noticed something strange: “two glowing orbs of white” in the brain that seemed to be giving him bouts of amnesia. They couldn’t explain why. Today, as detailed by a Buzzfeed investigation, doctors have dubbed the condition “CHIAS” — complete hippocampal ischemic amnestic syndrome. They’re following 13 other people who, inexplicably, can no longer form new memories. Doctors still aren’t sure exactly what’s causing the lost memories, as Buzzfeed details in this long look at the issue. 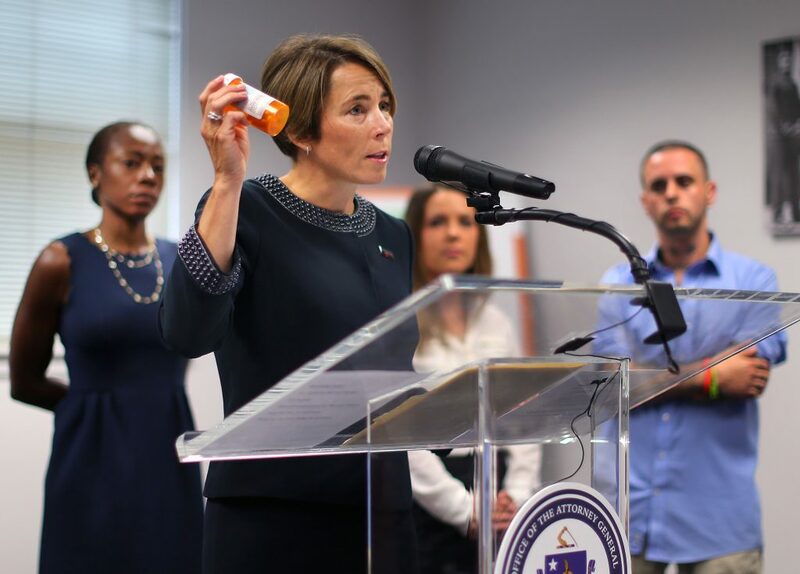 But 12 of those patients — from Meehan, to a years-sober 41-year-old father to a 33-year-old woman recovering from a near-fatal overdose — had a history of heroin or opioid use. 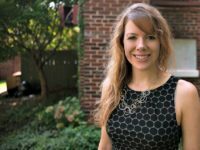 Cities like Baltimore have broadened access to naloxone, an opioid antidote, as chronicled by NewsHour’s Laura Santhanam; all states but Missouri now track how often drugs are prescribed and dispensed with real-time electronic records. And an executive order from President Donald Trump puts Gov. Chris Christie in charge of a new national opioid commission. But there’s still a lot we don’t know. New opioids and mixes of synthetic drugs with heroin means “users often don’t realize the strength of what they’re taking until it’s too late,” as pointed out in a new analysis by the Times. As the Buzzfeed report paints so poignantly, doctors are just starting to learn what exactly happens to the brain when it’s repeatedly exposed to these kinds of substances. Next week, Massachusetts is planning to start cataloging cases of CHIAS as a “reportable disease,” as they do with new cases of infectious diseases like Ebola or Zika, Buzzfeed reports. It could offer new insights for states which, now saving residents from addiction, must also learn how to treat them. 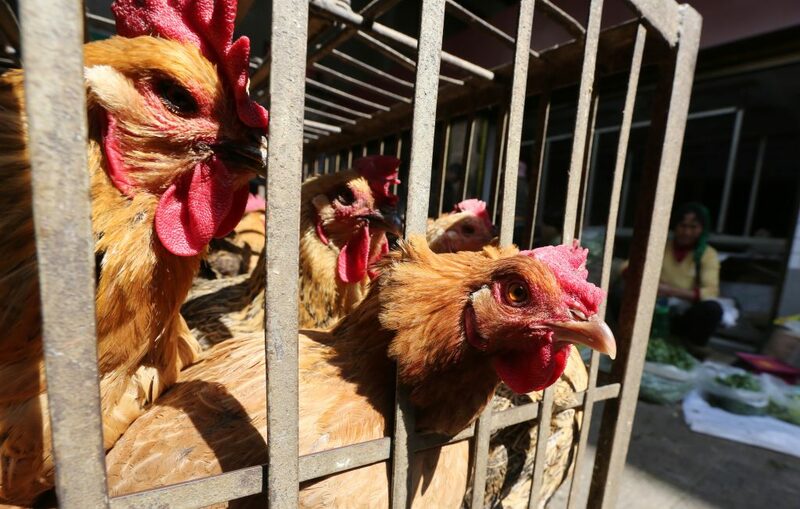 More than 1,200 people in China were infected with the H7N9 bird virus in the latest season measured by health experts, Fortune reported. This is China’s fifth bird flu epidemic — and has also proven to the deadliest, one researcher told NPR last week. Guan Yi, who runs the world’s leading H7N9 lab at Hong Kong University, says 162 people have died in the latest season, which stretches from September 2016 to March 1. “I think this virus poses the greatest threat to humanity than any other in the past 100 years,” he said. 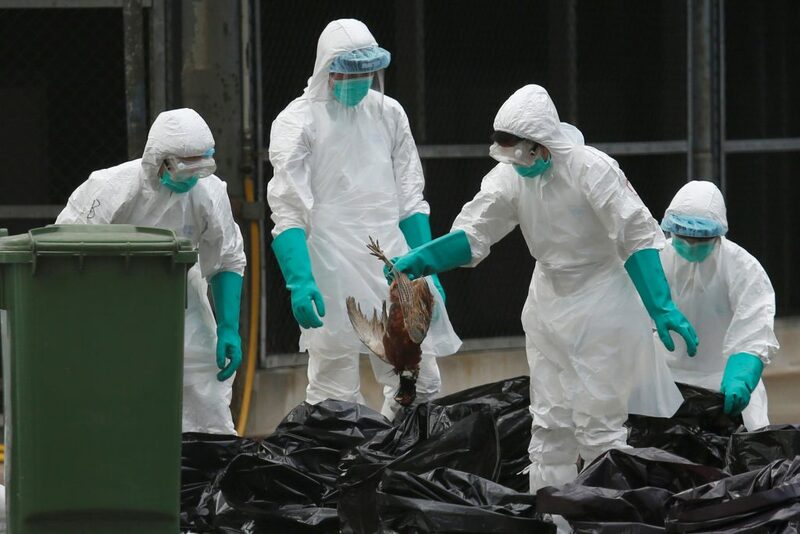 It’s been four years since scientists discovered bird flu in humans. Since then, the world Health Organization has reported 1,258 cases of the virus. Through September 2016, 41 percent of confirmed bird flu cases resulted in death, according to a report from the Centers for Disease Control and Prevention. Officials believe human infections stem from exposure to live poultry or contaminated environments where there is heavy bird activity. In China, human infections were first reported in March 2013. People can see the news of more outbreaks and think, like common viruses in the U.S., that it’s not a big deal. But the country has continued to experience epidemics each year, The Washington Post reported. Daniel Jernigan, who heads the CDC’s influenza division, told the Post that the increasing number of cases are unusual. There might be some good news on the horizon: Researchers are developing a vaccine they’ll start testing in June and July, after vaccine manufacturers complete their work on making a seasonal flu vaccine, the Post reports. The Biomedical Advanced Research and Development Authority has prepared vaccines to protect first responders against the highest-risk bird flu viruses. Hey Friends, Thanks for all the support along the way! I finished, like I did 50 years ago. We are here to change the life of women. Just imagine what’s gonna happen in 50 years! In 1967, Kathrine Switzer became the first woman to enter the Boston Marathon. 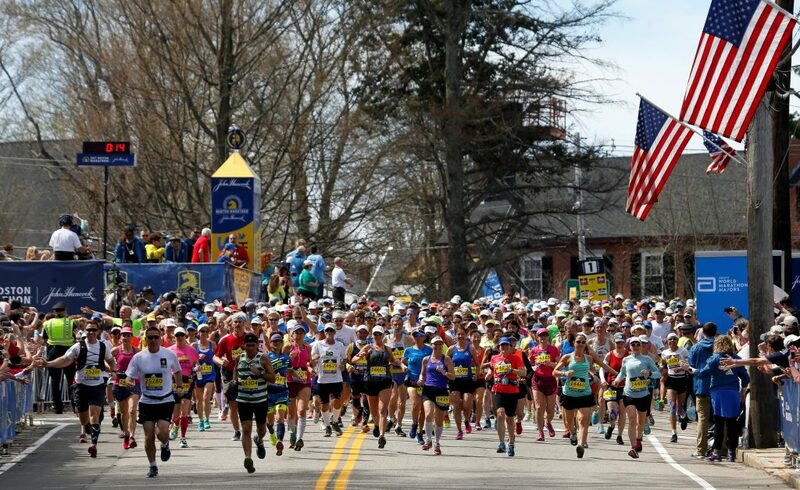 Today, the Boston Marathon is one of the most competitive and beloved 26.2 mile races in the world. Back then, it — like so many other sports — was an all-male tradition. She entered the race under the pseudonym “K.V. Switzer,” able to conceal her identity until she crossed the start line in Hopkinton, Massachusetts. About a mile later, race director Jock Semple told her to “get the hell out of my race” and tried to rip her racing bib off her shirt — a moment captured in an iconic photo that symbolized women’s fight for equality in sports. Today, 50 years later, Switzer lined up at the start line in Hopkinton again, wearing the same bib: 261. She finished the race — her ninth marathon and first since 1976, the Boston Herald reported — in 4:44:31, according to the Boston Athletic Association. Switzer didn’t enter the race with the idea of changing women’s running. She did it to prove to her coach at Syracuse that women were not “too fragile” for long-distance running — that they, like men, were capable of running 26.2 miles. For those on the front lines in the fight against sexism — or any ism, for that matter — it can be hard to see progress. It’s also hard to see how small goals translate into big action. Switzer toeing the start line today was a nice reminder of that. After her first marathon appearance, she went on in the 1980s to help the women’s marathon become an Olympic sport. She also started a group — whose name, 261 Fearless, pays tribute to her first marathon bib — that encourages women’s health and empowerment through running. Watch full episodes online of “Makers: Women Who Make America” on PBS here. This year, 13,698 women competed in the Boston Marathon, thanks to Switzer’s bet with her coach. In the last two Olympic summer games, in Rio and London, American women took home more of the country’s medals than men. USA women’s soccer and hockey have both recently won big contract negotiations that will better align their pay and benefits with those of their male counterparts. Major League Baseball just hosted its first girls tournament. And an Arizona teen just became the first woman to sign with a Division II or higher football program. “That’s one reason [why] Jock Semple and I became the best of friends,” Switzer said. “That photo became an iconic photo and it is now one of the most galvanizing photos of the women’s rights movement. How could I not love somebody who changed my life in such a positive way, even if it was a negative beginning?